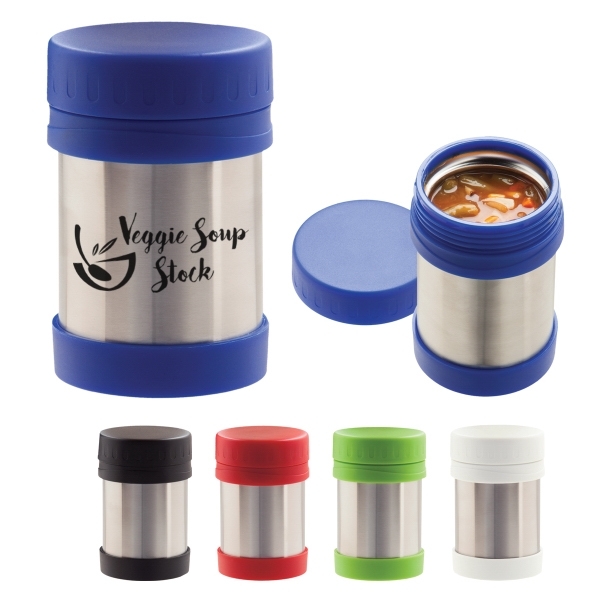 Take your food with you in this stylish stainless steel container. It has double-walled construction so you can maintain the temperature of your lunch whether it's hot or cold. This item is non-microwaveable, but dish washer safe and BPA free. It measures at 3 1/2" W x 5 1/4" and meets FDA requirements. Put your logo on the outer wall with our silkscreen method and have your clients take you with them wherever they go! Size: 3 1/2 " x 5 1/4 "
Imprint Area: 2 1/2" x 1"; 5" x 1"